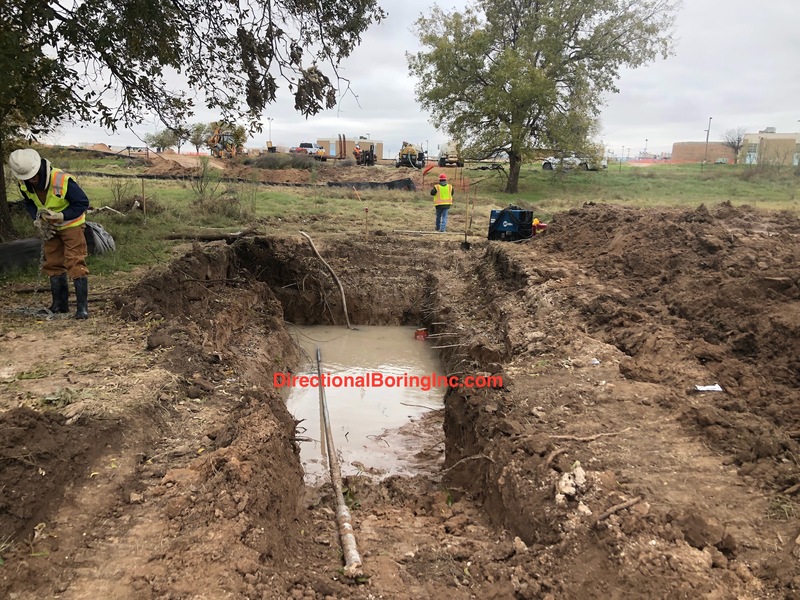 Utility Locating Services - Directional Boring, Inc. Both public (811) and private utility locating is an essential risk management best practice for all underground construction boring. Before you dig call 811 at least a few days before you start any digging project. Calling 811 is the most important step. Whether you are planning to do it yourself or hire a professional, smart digging means calling 811 before each job. Each state has its own 811 call center to help you get digging. An 811 representative will take information about your project and notify appropriate utility companies to mark buried lines so you can dig safely around them. 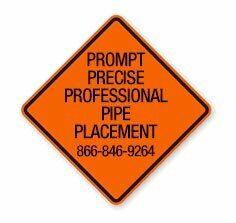 In the United States, the American Public Works Association (APWA) Uniform Color Codes for temporary marking of underground utilities are listed below. Red: electric power lines, cables, conduit, and lighting cables. Orange: telecommunication, alarm or signal lines, cables, or conduit. Yellow: natural gas, oil, steam, petroleum, or other gaseous or flammable material. Green: sewers and drain lines. Purple: reclaimed water, irrigation, and slurry lines. Pink: temporary survey markings, unknown/unidentified facilities. White: proposed excavation limits or route. When you need to locate a pipe or utility cable underground, utility location equipment can help you find it easier and faster. The basic premise behind an underground utility locator is that it works by producing and transmitting a signal onto a utility that is metallic that the receiver can detect. The electronic instrument used to determine the position and strength of electro-magnetic signals emitted from a transmitter in the pilot head of a boring system, in an impact moling tool, or from existing services which have been energized. Electromagnetic methods are the most frequently employed techniques to detect underground utilities made of or containing conductive materials e.g. steel, copper. Examples of these utilities include water, natural gas, fuel lines, electricity and telephone. In order to detect these utilities using electromagnetic survey techniques, a radio frequency is induced onto the utility. This signal is carried by the conductor along its length and is detected above ground with radio frequency antenna. Often, buried electrical and telephone utilities radiate their own electromagnetic field and can be readily detected using the radio frequency (RF) receiver without inducing a current. By detecting the maximum signal strength at several locations, the surface trace of an underground utility can be determined. Non-metallic pipes do not accept, produce or transmit an electromagnetic frequency. If such a utility is found, i.e, a clay or plastic storm or sanitary sewer, a transmitter is inserted into the pipe and traced. This method can also provide depth readings to some degree of accuracy. No single utility location instrument can detect all types of buried utilities. It is therefore imperative to utilize a variety of instruments, which are uniquely suited to a few tasks. Ground-penetrating radar (GPR) is a geophysical method that uses radar pulses to image the subsurface. This nondestructive method uses electromagnetic radiation in the microwave band to detect subsurface materials. Conduits, Deterioration Mapping, Embedded Materials, Floor Boxes, Forensic Materials, Grave Sites, J-Boxes, Pan Deck, Post-tension cables, PVC Pipe, Radiant Heating, Rebar, Reinforcing Steel, Slab ThicknessSleeves, Under slab Leaks, USTs & NDT, Voids, Water Lines and Wire Mesh can all be detected with Ground Penetrating Radar. The following are ground penetrating radar locating companies located near you. Digitrak, National GPR, GP- Radar, GPR Professional Services, Inc., Master Locators, PM Environmental Services, Global GPR and GEO Searches.